Observation - Badger activity - UK and Ireland. 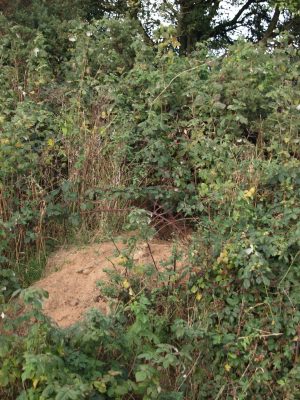 Description: Burrow with grass and bedding materials mixed in with the soil outside the sett. Burrow with grass and bedding materials mixed in with the soil outside the sett.